Question: My home has a rustic feel to it, and we live in a rural area. I would like to have a non-vinyl door for our garage that more accurately reflects the style of our home. I have heard that wooden doors are often unreliable. Wood is a natural insulator and can help keep your garage warmer or cooler, depending on the weather. Timber doors are durable. If you have someone in the family who is prone to backing into the garage door, the wood will stand up better than a metal door that can be easily dented. Wooden doors will stand up to the weather, if they are waterproofed or stained on a regular basis. The look of your home will be distinctive, as not many people opt for solid timber doors. Question: Is installation easy or do I have to find a qualified carpenter to do the job. Answer: Any reputable garage door installation service has the expertise and the technicians to install a wooden door to their garage. They can accomplish this just as easily as installing a vinyl or aluminum door, because it is what they are trained to do. Question: Can I do the maintenance on the door myself? Answer: As far as maintaining the wood itself is concerned, if you can paint, you can keep the garage door in good condition. 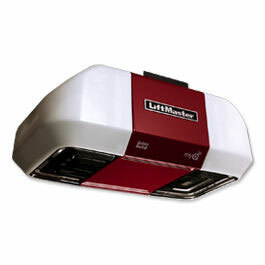 Waterproof sealers, either with or without built-in stain, protect your door to your garage against the weather. If you choose varnish for the door, it is easily painted on. 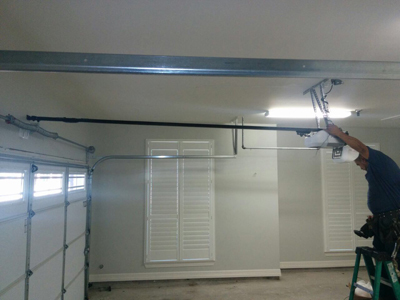 It will take a few hours of your time, but preventive maintenance will add to the longevity of your garage door installation. 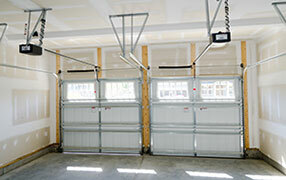 Question: How can I make my wooden garage doors more secure? Answer: Most of the components that you can use to secure a metal garage door can be installed or comes pre-installed in your new door. You can add deadbolts or electronic locks to the panels for added security to suit your needs.